Wastecorp's Sludge Sucker basic hand pump with a 1" connection. 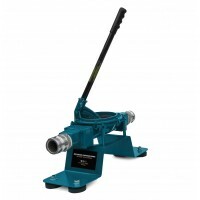 The 2019 Sludge Sucker basic hand pump from Wastecorp is a 1” polypropylene manual diaphragm pump designed for general water or wastewater pumping. Also used for emergency bilge pumping on boats, general residential water pumping and pumping out select lubricating oils and non-corrosive light debris liquids. Keep the Sludge Sucker in your boat, in your RV or handy around the house for quick pumping jobs. 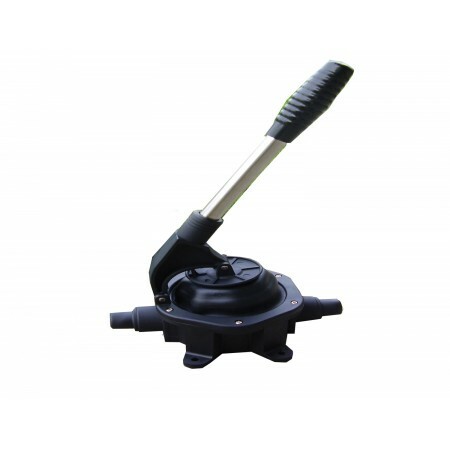 For commercial or leisure marine bilge pumping applications, the Sludge Sucker Basic polypropylene hand pump series provides a compact and easy way to get your job done. 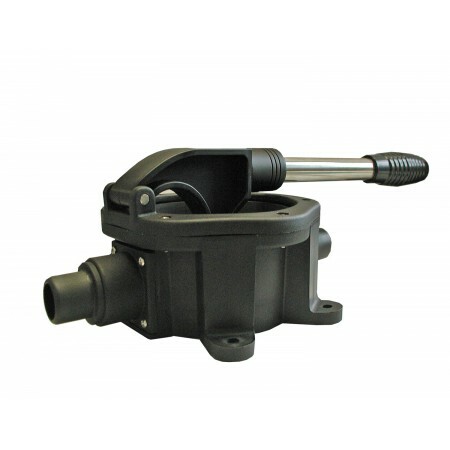 This pump is available with a either a 1" connection, see larger Sludge Sucker Pro manual diaphragm pumps here. At 12 GPM @ 60 Strokes per minute, your fuel is all that's required to get the job done.